Racquets sports is where it all started here at David Lloyd Clubs, so naturally we have a fantastic range of facilities on offer across our clubs. With more than 30 years of experience we can offer our members first-rate coaches with world-class facilities. No matter what your experience, we’ve got everything you need to improve your game, increase your confidence and learn more about the game. It’s not all about tennis either, we love a game of badminton or squash, and enjoy seeing our members giving new sports a try. 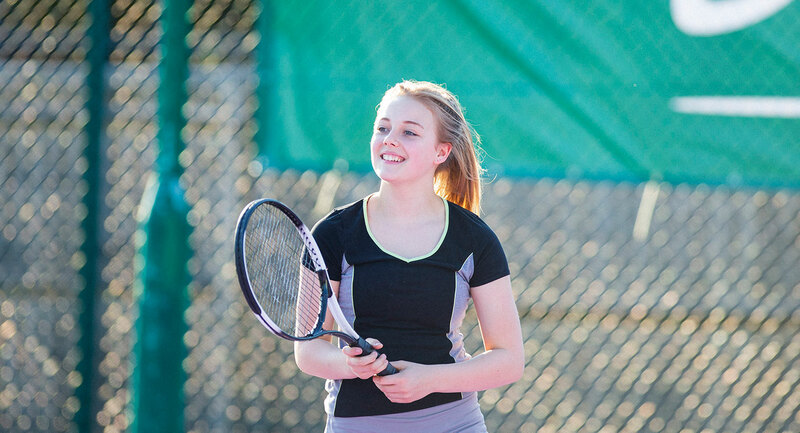 Tennis is more than just lessons and competitions – it’s also a huge part of the social scene in our clubs. We have weekly ‘TOSS’ sessions’, where members are matched to other players to have a game. Getting involved with our tennis community is a great way to meet new friends and competitors within the club. With both indoor and outdoor courts available, you can have a lesson, play a match, or practice your spin all year round, whatever the weather. And, no matter what your age or ability, our brilliant coaches will help you perfect your technique and improve. If you are looking to improve your, speed, strength and reaction time then have a go at squash. Our specialist coaches will, boost your confidence, teach you all the best skills and help you understand this fast-paced game. Add in a bit of healthy competition and you could be taking part in one of our leagues or tournaments in no time. With our expert coaches we believe everyone will benefit from one of our coaching programmes. If you just want to perfect a specific part of your game or you’re a total beginner, our coaches will be able to offer there advice and knowledge. They can provide one-to-one lessons, as well as group sessions for players of all ages and abilities.